Having siblings can be both a blessing and a curse, and that just seems to be the beauty of it. Although there are times when you’d fight or argue over some petty stuff with your siblings, what matters most is that you get to kiss and make up at the end of the day. Besides, that’s the whole point of siblings, don’t you agree? You bicker, one realizes the mistake, you call it a truce, and there you go, the bond is stronger than ever! These moments are worth reminiscing during Siblings Day. Falling every year on the 10th of April, this celebration is held to honor the relationship we have with our brothers and sisters. It’s basically like Father’s Day and Mother’s Day, though it’s still on its way to be federally recognized. If you love the whole idea of this holiday, you have Claudia Evart to thank. Siblings Day was actually inspired by her charity, the Siblings Day Foundation. Evart started the organization to celebrate both her brother and sister who passed away at such an early age. As a matter of fact, April 10 is the birthday of Lisette, her late sister. To commemorate the special day, we’ve come up with a list that’ll make you feel grateful for having siblings. Check it out below! They make us feel happier later in life. Everyone with a sibling or two may agree that the mutual bond with them is pretty unique and in a good way. Throughout the entirety of our childhood up to our adolescent years, we have no choice but to stick around with our siblings. Of course, this only means having someone watch our back while messing around with us at the same time. It’s pretty much like a roller-coaster ride with them. As we grow older, however, we tend to have a positive outlook in life and a greater sense of self-esteem thanks to them. This just proves that having siblings isn’t such a pain after all! They help us improve our physical health. If you have a hard time getting in shape, you might just have to turn to your brother or sister for motivation. A 2011 poll from Edelman Health Barometer reports that 46% of individuals from 12 countries say that family members play a big role in keeping them physically active. Apart from the fact that working out with our siblings can help us maintain a healthy lifestyle, it also strengthens our bond with them. A day at the gym is always fun with them, try it! Hanging out with them may make us feel less stressed. 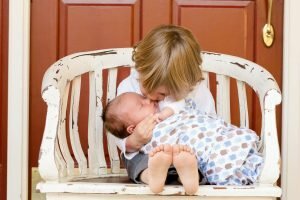 While we may often have innocent disputes with them, our siblings can actually be good stress-relievers. That is, if you have a strong tie with them. Research suggests that by being with a loved one, our stress levels tend to decrease. The next time you’re having a bad day, you know who to call. Having a brother or a sister may help you prolong your lifespan. If you and your sibling share an intimate bond, there’s a good chance that you’ll live longer! As studies reveal, individuals with poor social connections are more likely at risk to die earlier than the ones who maintain a strong social circle. A lack of support means having no one there for you when you’re at your lowest, which can definitely cause emotional and even health problems. Want to live until the age of 100? Better stay close to your siblings! Having a sister can have a positive impact on your mental health. Good news to anyone with a sister! 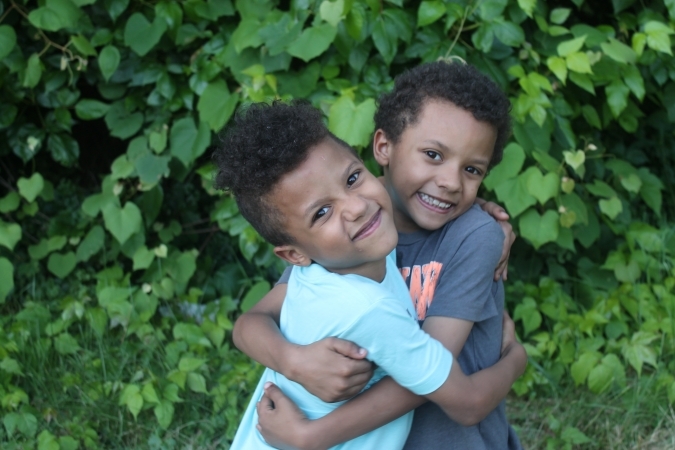 Researchers from Brigham Young University discovered that having a bond with a female sibling keeps one from being anxious, lonely, or insecure during their adolescence. If you find yourself feeling alone, you might as well set a date with your sister! Take them out for lunch or dinner. The place doesn’t have to be fancy, as long as you’ll be enjoying your favorite meals together! Surprise them with a gift that comes from the heart, maybe something that means well for the both of you. Treat them to a spa or a wellness center. Spend the day rejuvenating and relaxing with them. Go on a daytrip together. Again, it doesn’t need to be on a lavish place. It can be somewhere that you’ve always wanted to explore while you were kids. Have a party for old time’s sake. Just ease up with the booze. Spread the love. Do a good deed together. You may attend a charity event, hold a fundraising event, or simply make a donation for the less fortunate. One of the many ways you and your siblings can celebrate Siblings Day and give back to our nation’s heroes at the same time is by taking part in our car donation program for the benefit of our struggling veterans. Our veterans need your help. By donating an old automobile to us at Veteran Car Donations, you give them the opportunity to enjoy normal lives the second time around. When you decide to donate to us, you won’t be doing any work at all. Paying for the towing won’t be necessary either. The best part is that you’ll be enjoying a hefty tax deduction! Contact us at 877-594-5822 or fill out our online donation form. Donate to Veteran Car Donations your old and unwanted car or any other vehicle. Let’s treat our vets as siblings by helping them out with a simple car donation that will go a long way in improving their living condition.